How does our curriculum fit in with our aims and ethos? As with our curriculum, we also spent a considerable amount of time shaping our ethos and values. We worked with staff, governors, parents and pupils to encapsulate the core values we felt were the most relevant to us at Westcott Primary School. Following a community competition, we settled on four key drivers: Support, Teamwork, Attitudes and Respect which subsequently became our Westcott ‘STAR’ values. We felt it was vitally important that these core values were at the heart of everything we do and therefore also in our school curriculum. We wanted pupils to understand that support for themselves and for each other are the key to success; that we are a team and therefore look after each other – whether that be within our school community or in a much wider context as a global citizen. Having a good attitude was also very important to us and through teaching the children about resilience, academic success and embracing challenge we hope to promote excellent behaviour for learning. And, finally respect, where our restorative culture ensures that all members of our school community take responsibility for their actions and understand that actions have consequences. How did we design our curriculum? We spent a considerable amount of time designing our curriculum discussing the needs of the community combined with extensive research. We dedicated staff CPD and INSET sessions to plan and develop the curriculum. Our staff were given time to be creative and imaginative to develop a curriculum that is unique to our school whilst covering National Curriculum objectives. How does our curriculum meet the needs of our pupils? In addition, we have a whole school strategic approach to the spiritual, cultural and moral development of pupils to make the world a better place. We believe a curriculum is about broadening minds, enriching communities and advancing civilisations. At Westcott Primary School it is our underlying belief that every child should feel valued and experience the feeling of success in a wide range of curriculum areas. We have designed, organised and planned our curriculum to ensure every child receives an appropriate mix of academic and personal development, which means in practice our curriculum places equal importance on core and foundation subjects. We place priority on ensuring children’s physical and mental well-being are met. We understand that children will not be successful learners unless they are emotionally secure, therefore we designed our curriculum and adopted a flexible approach to timetabling to ensure we can meet and respond to any issues that arise. We have created three themes for this academic year Make a Change, Think Big and Stand Out. How do pupils progress and achieve within our curriculum? At Westcott Primary School, our definition of progress is; the widening and deepening of essential knowledge, skills, understanding and learning behaviours. We designed, organised and planned our curriculum to ensure that children are not merely covering content but achieving a depth to their learning which enables them to use their skills and understanding in all areas of the curriculum. Our careful curriculum design and planning means that we build in many opportunities for repetition and practise for essential skills, knowledge and understanding in every subject. 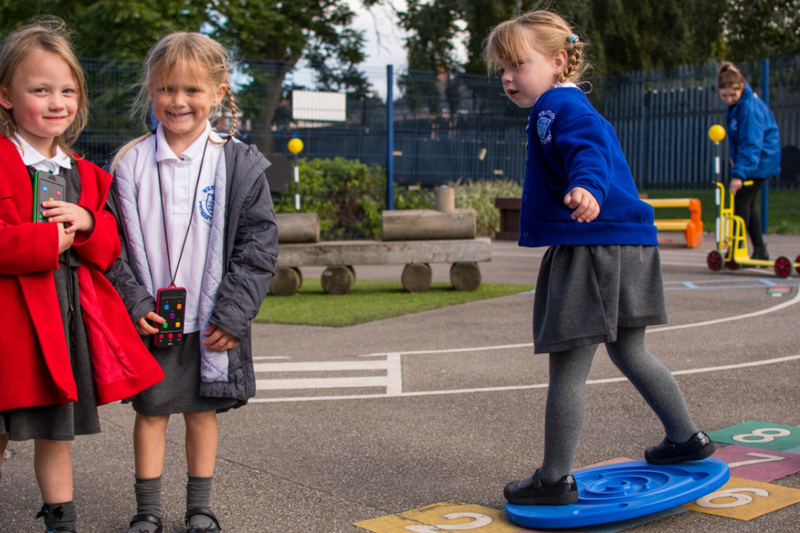 This ensures that children can revisit previous learning, which allows them to gradually develop a deeper understanding of the skills and processes within subjects, at their own pace and in the best possible way for each individual child. How will we evaluate our curriculum? We pride ourselves in constantly improving our school and value feedback from all stakeholders. We give our parents and governors many opportunities to share and celebrate the outcomes of our curriculum. All classes invite parents to a termly celebration of topics where pupils will showcase their outcomes. Each class will also celebrate their work through a class performance. Year group pages on the school website will also inform parents of the termly topic for their class. An important aspect of our curriculum was inspiring pupils from the very first week of the term. Our staff planned exciting educational visits/visitors or tasks which ‘hooked’ and inspired pupils into their learning for the coming term. In all of this we will ask for feedback from all stakeholders and senior leaders will monitor and evaluate the impact that our curriculum is having on learning. What has been the impact of our curriculum? In terms of Maths and English the impact of our curriculum on outcomes is proving to be very positive with swift and rapid progress being made. This will be reflected in the end of year outcomes for 2019. Outcomes for pupils in Early years and the proportion of those achieving a Good Level of Development has improved from the previous year and was inline with national expectations. This is also reflected in KS1 where we are confident that our pupils in Year 2 will achieve outcomes in reading, writing and maths at least in line with national outcomes by the end of 2019. By the end of KS2 our pupils are on track to achieve outcomes above national expectations, demonstrating excellent progress. As a result, we have high expectations that pupils will continue to make good progress in English and Maths through our exciting curriculum at Westcott Primary School. If you have any questions or would like to learn more about our curriculum, please don’t hesitate to contact Miss D Tague at school or if your question is about your child’s curriculum then please contact your child’s class teacher. Who leads each area of the curriculum?